For challenge 6 of Freshly Blogged we had to come up with two recipes, both of which had to incorporate cayenne pepper and cinnamon. Our ingredient list was limited to say the least and our allowances for fresh ingredients only allowed for fruit, vegetables and herbs. With the addition of 2 grocery items – which we were told had to come from the dried foods aisles, I was really stumped. The inspiration for this week’s recipes came from James Martin. James has recipes for terrines in his books and a chicken liver terrine is something I have wanted to try for a while. I used his recipe as inspiration only and worked out what to do given the ingredients we could use. The livers have a nice bite to them from the cayenne so reduce the amount by half if you are not fond of hot food. Disclosure: This challenge was sponsored by Robertsons for the Freshly Blogged Challenge. This post is in line with my blogging policy. I wouldn’t have thought to use mushrooms in a chicken liver terrine but it sounds gorgeous. 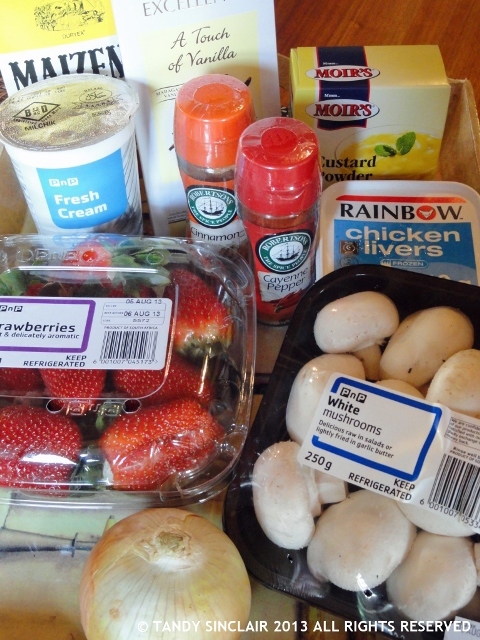 I love to put this on some crusty bread…. YUM!!! 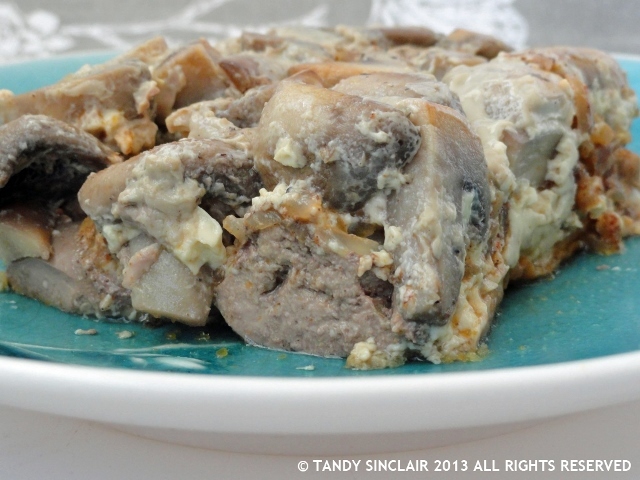 Love livers – never thought of making a terrine with them before – sounds lovely. This used to be a very common dish prepped in my kitchen – have to admit more in the pate than terrine format: but having the ingredients in layers does give an interesting visual effect: must try . . .
We eat very little meat, but I do have a soft spot for chicken livers.